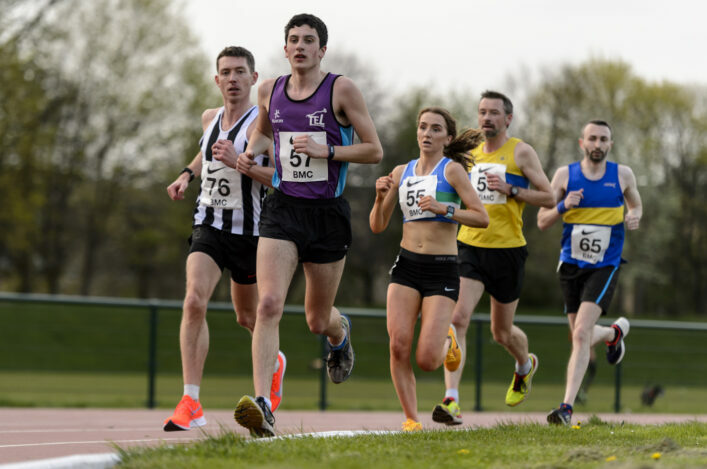 It was another hectic weekend across a range of disciplines with events in various locations covering mile races, track and field, hill marathons and ultra running. 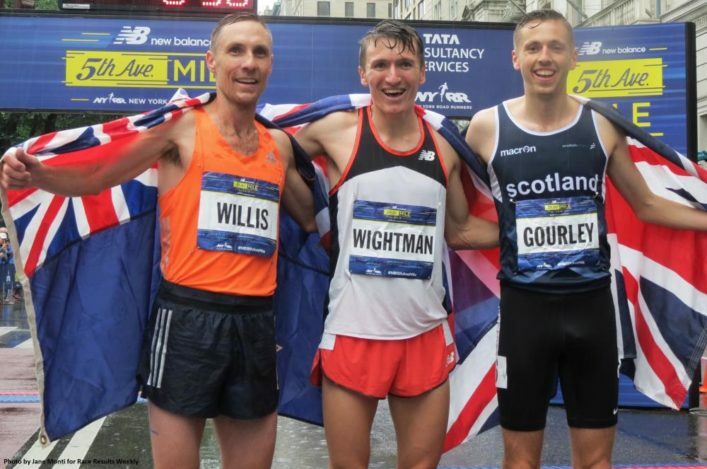 But there’s no better place to start than New York and a superb Scottish podium place double at the New Balance Fifth Avenue Mile. Jake Wightman crowned his wonderful 2018 with a late sprint to take the win in 3.53.3 as he headed four-times winner of this event, Nick Willis. And Neil Gourley made it two Scots on the podium as he finished in a really fine third place on his debut in this event. With Chris O’Hare, who was second last year to Willis, in sixth place there were three Scots in the top six . . . and two Americans! Steph Twell finished 14th in the women’s race won for the seventh time by American Jenny Simpson. Well done to Jake and Neil and their coaches and the clubs who forged their development, Edinburgh AC and Giffnock North AC. Wightman’s win followed on for victory for Laura Muir at the end of her superb season, as she took the Women’s race in the Great North CityGames mile. Muir’s fellow Scot Jemma Reekie was fourth in 4:36 and now the pair head off on a well-deserved holiday to Canada, while Eilish McColgan was fifth in 4:38. In the shorter road events, Lynsey Sharp was second over 500m in 67.73 and Guy Learmonth was sixth in 60.93. Robbie Simpson has had a superb 2018, too, and that continued again in Switzerland yesterday with another race win for the man who took bronze so memorably at the Commonwealth Games marathon in Gold Coast. 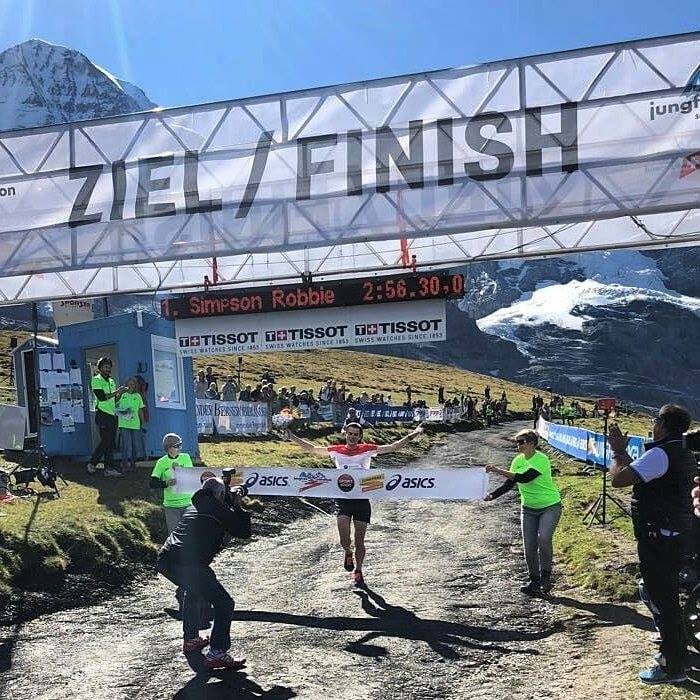 This time, Robbie savoured success in the Jungfrau Marathon – with 1700m of ascent – for the second time in his career. He had previously won this race back in 2016. It was a British men’s 1-2 with Andrew Davies taking second as Robbie came home in 2.56.31. Well done to Robbie and his family on maintaining the 2018 purple patch! Rob Turner of Edinburgh AC raced in Croatia over the weekend as he represented GB and NI at the World 100K Champs. 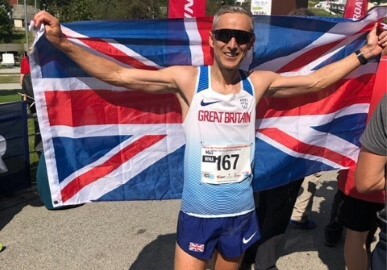 Rob, the current British 100km champion, finished 30th and was the second GB finisher in 7:18:08, narrowly missing out on a Masters V45 medal with fourth in his category as the World Masters Association Championship was run concurrently with the International Association of Ultrarunners event. The race was run on a 7.5km loop with a few undulations each lap. After an ideal overcast start, early in the morning, temperatures rose to reach the high 20s by late morning and very humid conditions made it tough for the athletes. Livingston staged two events over the weekend as it played host to the final scottishathletics Throws GP of the season on Saturday followed by our second Jumps GP on the Sunday. 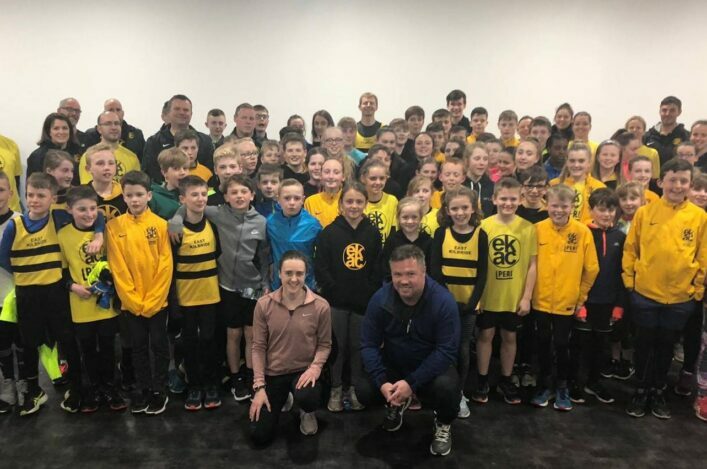 Many thanks to all the athletes who entered and to clubs and coaches for their support – with a special word of thanks for our Officials who have helped with these events throughout the year.